When getting into the business of buying and selling ETFs or ‘exchange traded funds’, the first thing one must know is what an index is. An index is what is commonly referred to as the ‘stock market’. It’s a list of stocks and other trading security information from various companies that pretty much anybody can create though there are reliable standbys like the Dow Jones Industrial Average, S&P 500, and Nasdaq. Index investing is attractive because it cuts down a lot of costs that would otherwise be unavoidable from buying individual stocks. They’re pretty cost-efficient and often outperform mutual funds. Now, ETFs are investment funds traded like stocks in the market. Most ETFs are securities that track indexes and can be comprised of stocks, bonds, and other financial commodities. They experience price changes several times throughout the day much like penny stocks would. 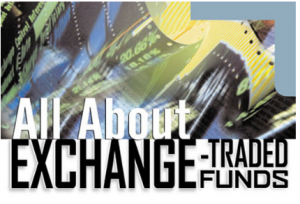 Exchange traded funds are the most popular type of exchange traded product. However, unlike investing in an index, ETFs can be costly to trade as you can only buy or sell them through your brokerage which will require you to pay commission to your broker. The commission would be the same amount as what it would be with a regular order. New ETFs pop up regularly and it’s hard to keep track of them all, although there are sources that list the best of them or put up information on their average statistics. Considering a new ETF investment is risky unless you know exactly what it is you’re looking for and you’re familiar with the status of whatever index that ETF is tracking. Some of the most popular investments for people who want to diversify their portfolios are penny stocks. Penny stocks are also known as micro caps. These are stocks that trade for low prices, usually at less than $5 each. People often wonder where to buy penny stocks and if they have to find some sort of penny stock broker in order to enter a trade. The obvious solution to this would be to go for a penny stock index but that isn’t very practical unless you’re willing to buy each and every stock that fits the profile you’re looking for. An index is too diverse in rankings for that to happen. There are, however, new exchange traded funds that have micro cap varieties. New ETFs are hard to sift through unless you really know what you’re doing. Since a new ETF won’t have the backing of past history, it will be good to know how to pick stocks so that you can apply this knowledge to picking new ETFs, as well. This knowledge will come in handy since, as previously mentioned, an ETF is traded just like a regular stock on the market. The same techniques and guidelines will be applicable to choosing new ETFs to invest in. Exchange traded funds are incredibly attractive to a lot of investors for their hybrid-like attributes – they have both the convenience of index funds and they also have the lower costs of individual stocks. ETFs are perfect investing tools for when you want to diversify your portfolio with small shares in a specific industry that you’re interested in like telecommunications or real estate. These all seem like very good reasons to start trading ETFs but before you do, it is very important to remember that they aren’t actually singular stocks so their underlying securities should be researched thoroughly just like you would if you were investing in an actual index.